Writing is a process. For some students it might seem like a daunting task, but if you look at it as a succession of small steps to follow instead of looking at it as the big final product, writing can be fun and easy. Six amazing websites that make your writing stronger. Write down all the ideas you can think of. 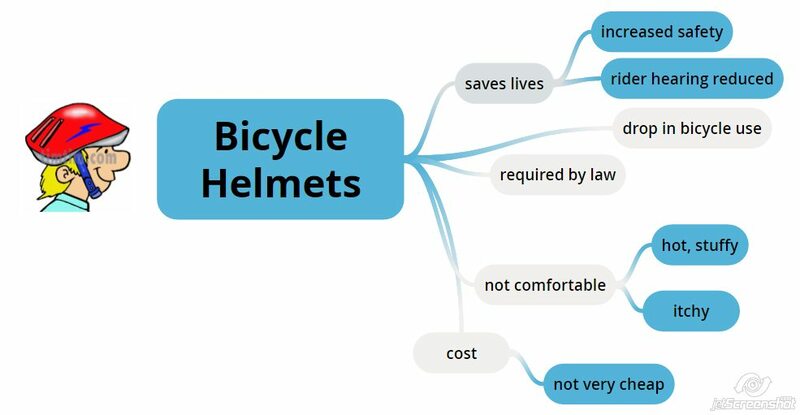 You can try mind mapping your ideas. It is a good technique to generate ideas and expand on them. You can begin by writing a big bubble in the middle of the page with the topic and then use arrows to draw new bubbles with ideas and again arrows with more specific points or observations about this idea. At this stage, don’t worry about spelling or grammar mistakes. Decide which ideas to keep. Organise your ideas according to the writing task. Think of words and expressions you will need in your work. Write quickly. Don’t worry about things such as accuracy or neatness. Use a pencil so that it is easier to make corrections and erase things. If you are writing your draft by hand, leave a wide margin for notes and space between the lines for additions and corrections. If you can’t think of a word in English, write it in your own language. You can look it up in a dictionary later. If you don’t know the spelling of a word, write it anyway you can. You can look it up in a dictionary later. Do it slowly and conscientiously. Check spellings in the dictionary and look up any word you felt unsure of. Here’s a very useful post Six Amazing Websites that Make your Writing Stronger. Use a checklist to improve your work. See the one my students use here. Read your draft aloud. Circle the things that need to be improved, reworded or clarified. Take a break from writing and reread your draft after 30 minutes. Does everything sound right? Copy your corrected work neatly on a clean sheet of paper. Make sure your paragraphs are clearly indicated. An essay consists of several paragraphs about a topic. Although there are many different kinds of essays, they all have the same basic structure. Humans usually imitate the speech of someone with a strong accent due to empathy and to create a bond and assimilate with them. “If you could interview anybody in the world, who would you choose?” asked the teacher. “Nelson Mandela”, I replied. Did you know that there is an island in Japan that has more than 450 people living above the age of 100? The body can have one or more paragraphs which develop the topic. The first paragraph should contain the strongest argument or example. The second paragraph the second strongest argument and the third the weakest. A topic sentence, i.e. an idea. One or several supporting sentences to expand on the idea. The parts should flow logically and the ideas should be easy to understand. Go from general to specific. Give a general idea and then expand it. Avoid unnecessary repetition by using pronouns to refer back to nouns already mentioned. Use connector to join sentences and show the connection between ideas. It should not bring new ideas. It shouldn’t be very long. It can be similar to the opening, but presented in different words. Read the assignment thoroughly, several times if necessary and underline anything relevant. Sometimes there is a question or several. Make sure you cover all of them. Focus on the purpose of the composition, on the tone and the style required and also on the length requirements. Plan your writing. You need to dedicate several minutes to planning what you are going to say and how you are going to say. It makes a big difference. Write a first draft. Use pencil, if possible, to erase or correct errors. Begin each paragraph with a topic sentence and then write some supporting sentences about this topic sentence. 1 idea= 1 paragraph. Use a variety of vocabulary and grammar structures. Avoid repeating the same words over and over again. Use synonyms or paraphrase. A thesaurus or a lexicon is useful as a source of alternative words. Use a range of grammar, sentence structure should be varied and clear. Use connectors to join ideas. They also play an important part in stringing together sentences and paragraphs. Time management. Organize the time you are given to write the essay. 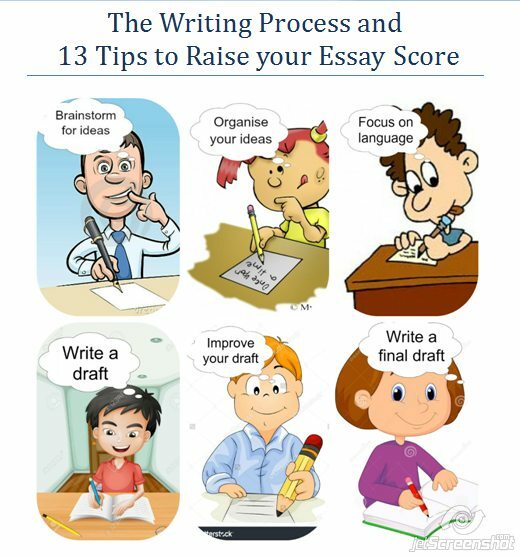 If you have one hour to complete the task, dedicate 10 minutes to planning and organizing your ideas and allow about 10 minutes at the end to proofread your essay before giving it to the teacher. You will still have 40 minutes left to write and develop your ideas. Keep to the topic. Don’t write about things that have nothing to do with the assignment. Sound natural. Just because you know lots of connectors, it doesn’t mean you have to use all of them. Punctuation. Pay attention to punctuation, especially to the correct use of commas and periods. Your text can be confusing if you don’t use them adequately. Style. Think about the purpose of the assignment and the audience it addresses and use the correct style and tone. If it’s informal, you can use colloquial language, simple and shorter sentences, contractions, abbreviations and emotional language. On the contrary if it’s a formal assignment, you will need to use more complex sentences, avoid contractions and abbreviations and you should definitely avoid emotional language or colloquial expressions. Proofread your essay. Have a coffee or go for a walk. Come back, take your essay and reread it aloud. Does it sound “right”? Then, it’s ready! Read a lot and try to write about anything for 30 minutes every day. You’ll soon get better. These tips are good support for me. I am glad they help you.